The “Settle Down” music video is now available for purchase on iTunes for $1.99! MTV has posted another article where they discuss the “Just A Girl” music video! Hello! 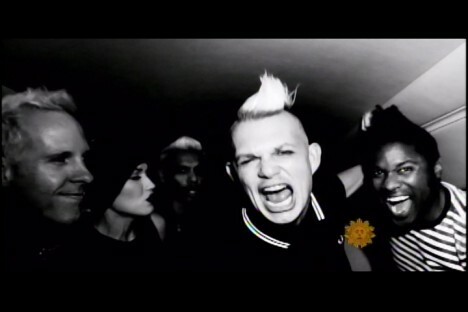 I’ve compiled the Fuse band interview clips that aired during the No Doubt Takeover into one video. You can download it here. She also called into Carson Daly’s radio show yesterday, and you can listen here! There’s a new interview with Adrian on ESPN.com. Billboard.com states that No Doubt’s “Push and Shove” “is headed for No. 3” on the Billboard 200 chart’s top 10 list, which will be revealed on the morning of Wednesday, Oct. 3! Complex.com has posted a great article where No Doubt tells stories about various songs. Must read! Hello again! I made some video stills from the E! special, and have added them to the gallery. There is a contest on Spotify where you can win an autographed guitar! View the details on the official! Hello! I’ve added the Spiderwebs and Looking Hot performances, as well as the interview on Ellen today to the videos section! Push And Shove music video, E! videos, happy day! Well, today’s the day! Happy Push And Shove day! The album is out now! Such an exciting day! aaaaaaaaaaahhhh! Love this band so much! I’ve uploaded the E! hour long special from last night to the videos section! E! has posted even more goodies on their web site. Check them out here! No Doubt in France, interviews, etc. I received my Target deluxe edition in the mail a day early today! 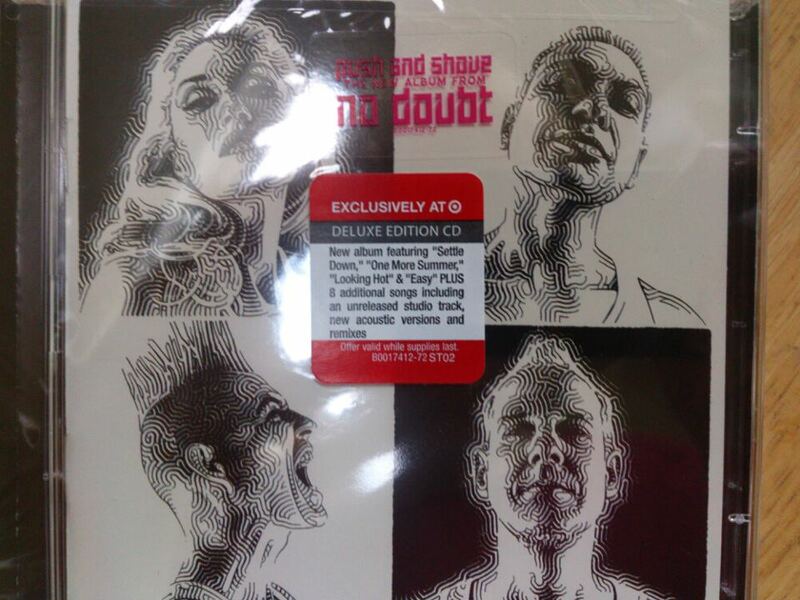 LA radio station 98.7 is going to play the entire album tonight at 11pm PT, and will also be airing their interview with No Doubt. They have a live stream here! “The official music video for “Push And Shove” won’t premiere until tomorrow, but here’s a sneak peak to get everyone by until then. “No Doubt are taking over Fuse! Tune in for 24 hours of No Doubt music videos and interviews with host Alexa Chung beginning tomorrow at 6am ET/PT. Pick up the band’s new album Push And Shove and spend Tuesday, September 25 watching your favorite No Doubt moments ALL DAY on Fuse! New interview segments with the band will also air during the Fuse Top Twenty Countdown at 10pm ET/PT and on Fuse.tv. I’m confused, because my TV listings only show the takeover to be from 6am-4pm EST? Hello! I’ve added the CBS Sunday Morning special from this morning to the videos section! I’ve also added a few stills to the gallery. I really love this special! And, the Push And Shove music video looks badass! I can’t wait to see the whole thing! Hello! iHeartRadio has posted a backstage interview with No Doubt to their site, as well as a bunch of photos! I’ve updated the gallery with some photos from the event. I also added a couple recent magazine scans from Rollling Stone and Entertainment Weekly. Hello! I’ve finally uploaded videos from No Doubt’s iHeartRadio set to the videos section! They were supposed to be up first thing this morning. I started the uploads just before I went to bed, and not too long after that, my web host decided that would be a good time to do some work on the servers, so the connection was terminated. I had to start the uploads again this morning, and they just finished! The first two, Hella Good, and Spiderwebs, have some sort of duplicate audio track thing going on. That seems to have happened for everyone that watched on Xbox Live. You are currently browsing the Greener Pastures – a No Doubt fan site archives for September, 2012.